It is a conversation with every hard-throwing pitching prospect in baseball. Can he make it to the big leagues as a starter, or does he need to be moved to the bullpen? Fernando Romero has found himself in that situation for a while now, and it is likely that decision will ultimately be made in 2019. Will Romero get another opportunity to start, or will be be moved to the bullpen. 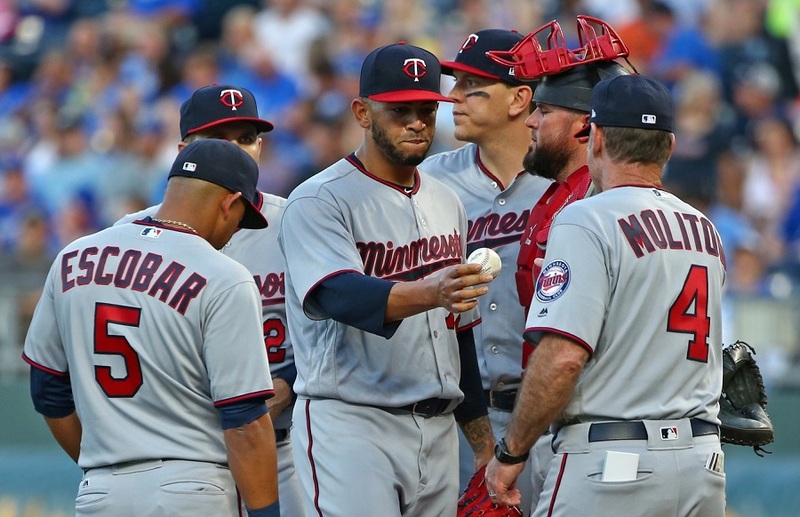 Why do the Twins need to make a determination on Fernando Romero so quickly? We’ll get to that, but first, let’s take a look at his background, why he should remain a starter, and why the bullpen could be an option for him as well. I'd stick Pineda and Perez in the bullpen and put Romero and Mejia in the rotation. Doesn't this make it sound that there are questions about his stamina...how long he can maintain his velocity/stuff on any given outing? That no matter the development of pitches, he may simply be significantly more effective as a reliever than a starter? That's what it sounds like they're saying to me. But it seems early in his development to be making that conclusion...at least definitively. And I don't know how you answer that question without keeping him in a starting role to see if the added year, and further distance from the TJ, moves that needle. You can try him out in the bullpen, but it would be an absolute waste if he doesn't have the physical ability to pitch on back to back days (not everyone does). Good pitchers are good pitchers. Failed starters frequently make good relievers. Failed relievers NEVER make goods starters. Start him in the pen. If he dominates and you need rotation help, stretch him out. He'll have more time to develop pitches ot of the pen anyway. The problem with using him in the majors as a reliever is that he will concentrate on using his best pitches, to get people out. What he needs to do is improve his secondary pitches.You can't do that in the majors, with games on the line. That's what the minor leagues are for. If the goal is to succeed as a starter, keep him in AAA, where he can focus on improving his secondary pitches. Only in the minors can he afford to use his least effective pitches, even when it's not the best way to get batters out. That's exactly what he needs to do: Throw lots of curveballs and sliders, even if it means getting knocked around a little. And when they stop hitting them, THEN he's ready for the majors. And he'll arrive with four pitches, as good as he can make them without facing MLB hitters, and take it from there. I don't get why people say he'll improve faster in the majors, and is wasting his time in the minors. Can he work on his weaker off speed pitches in real games? Maybe I'm wrong, and he can work on his other pitches on the side, while going fastball/slider in games. I don't see it though. At some point he needs to use them to improve. To me, the only real justification for stunting the development of a potential starter is if you're in a pennant race. If every out counts, and you've got a fireballer who can help you in the pen right now, sure, screw the future and go for it. But for where the Twins are now, I would say, If you want to make him a reliever, do it because you're sure he'll never master a changeup or a curve. But if there's still hope, give the guy a chance to reach his potential. If our real window is a year or two away, do what gives you the best chance of turning him into a top of the line starter. And if he's not ready yet, do what you can to get him there. Which is to focus on his secondary pitches, not the ones he's already mastered. If the season goes surprisingly well, and the Twins are in contention, and you need another arm, grab him from AAA and throw him in the bullpen. He'll be even better for having worked on his secondary pitches. But unless you think his offspeed pitches are hopeless and are ready to make him a reliever permanently, I wouldn't pull the plug quite yet. But the only point in making him a reliever now is if the Twins are in win-now mode, and they really need him; or if they plan to throw him out there when the game is already lost, and he can experiment without a cost. If the Twins get so far out of the race that they're throwing in the towel, I guess theycould let him work on his curve and change with major league batters then, too, even if it means getting knocked around. But otherwise, I'd let him work on his off speed pitches in AAA. The problem with using him in the majors as a reliever is that he will concentrate on using his best pitches, to get people out. What he needs to do is improve his secondary pitches. You can't do that in the majors, with games on the line. Their is no substitute for learning how to get major league hitters out, ask Berrios. Taylor Rogers learned a slider last year during the season while working out of the pen.